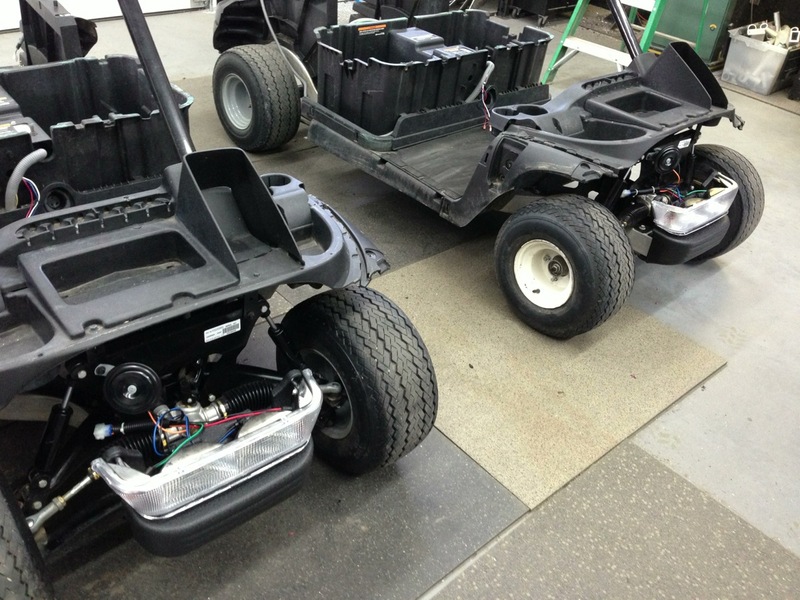 We thought it would be cool to build these two carts side by side, they are going to two different owners but there many components are very similar. 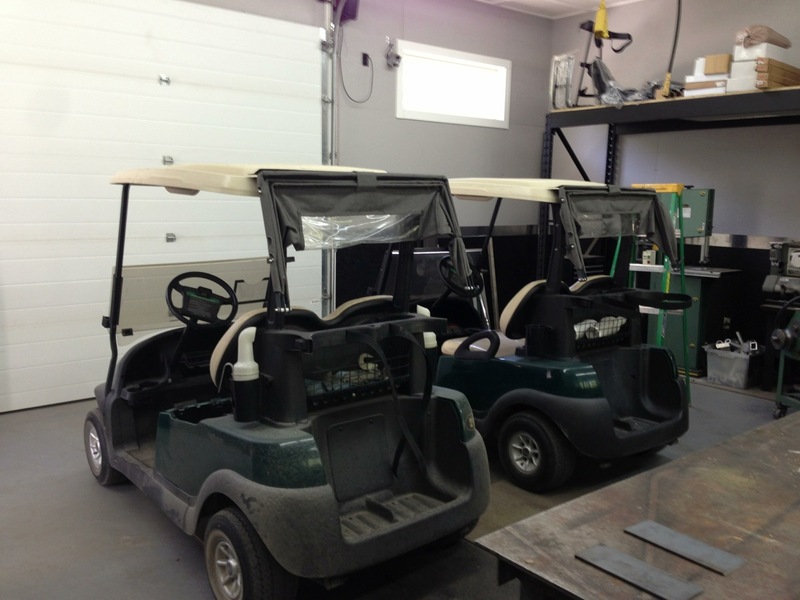 Both of these carts are getting our street ready kits, this gives them the added safety while driving around their communities. 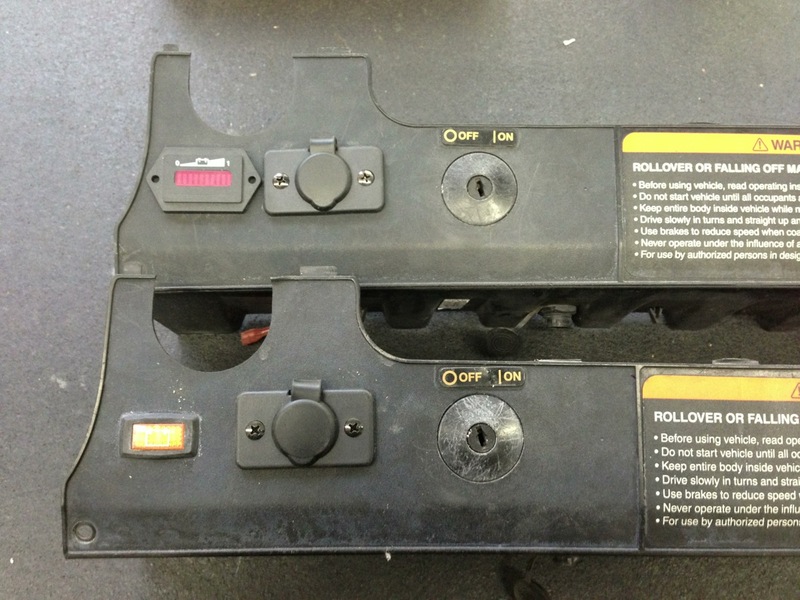 Here we start off with two stock electric Precedents, side by side ready to be disassembled. 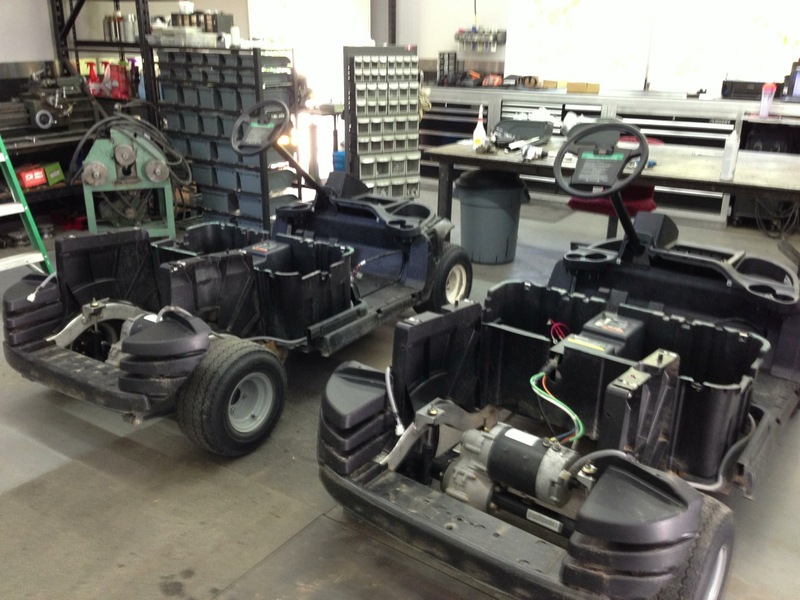 A bit of progress, and these carts are starting to look pretty bare! And here they are, two Club Cars disassembled. 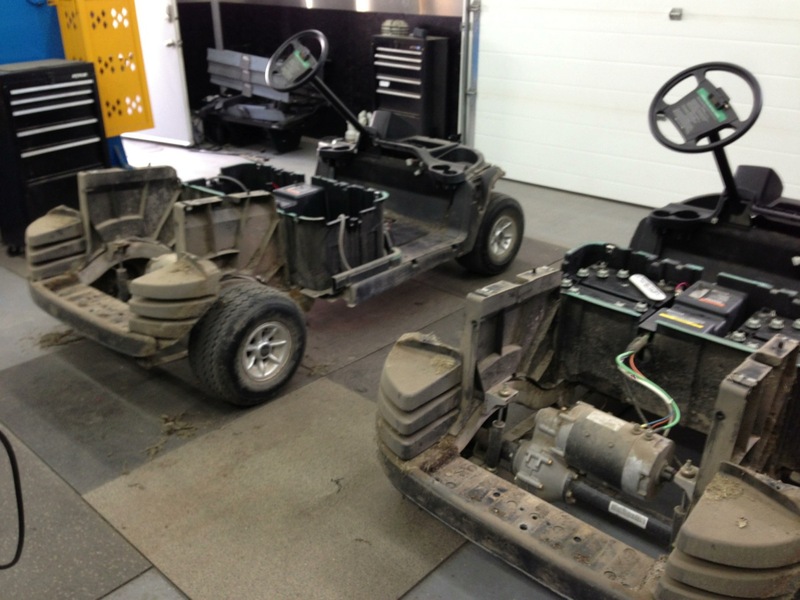 You can see why we go through this process to ensure our customers have virtually new carts! 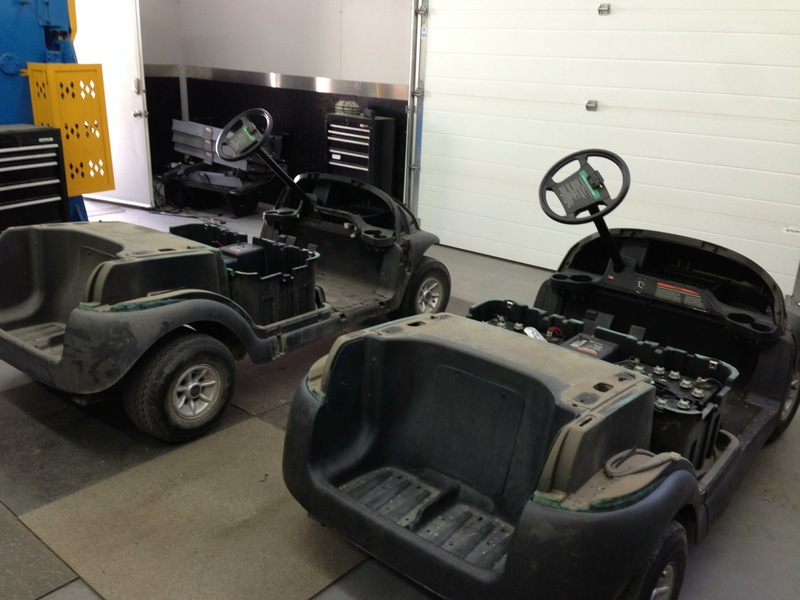 Back from pressure washing and they have gone through the SC Carts inspection, so now they are ready to have the goodies added! 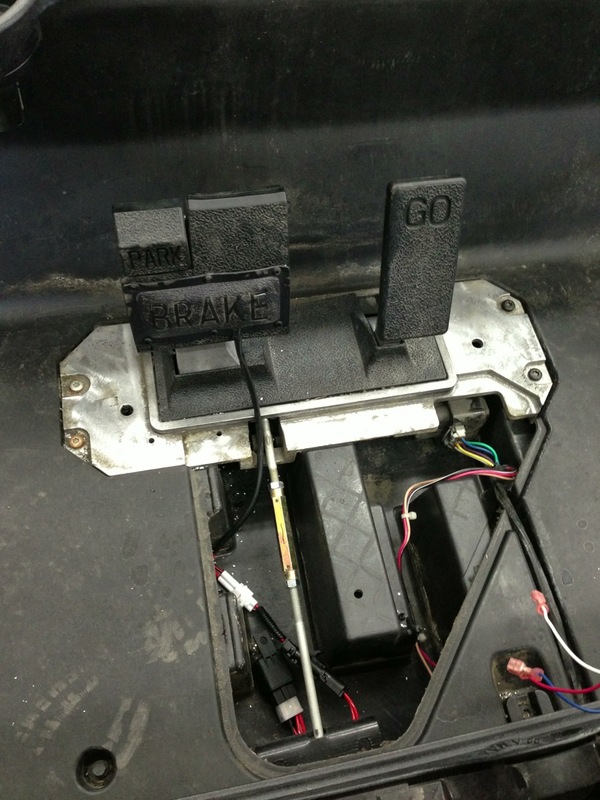 We start off by re installing the pedal group and the brake pressure switch. After installing protective loom we replaced the factory floor mat. Here they are, with the light kits and horns installed. 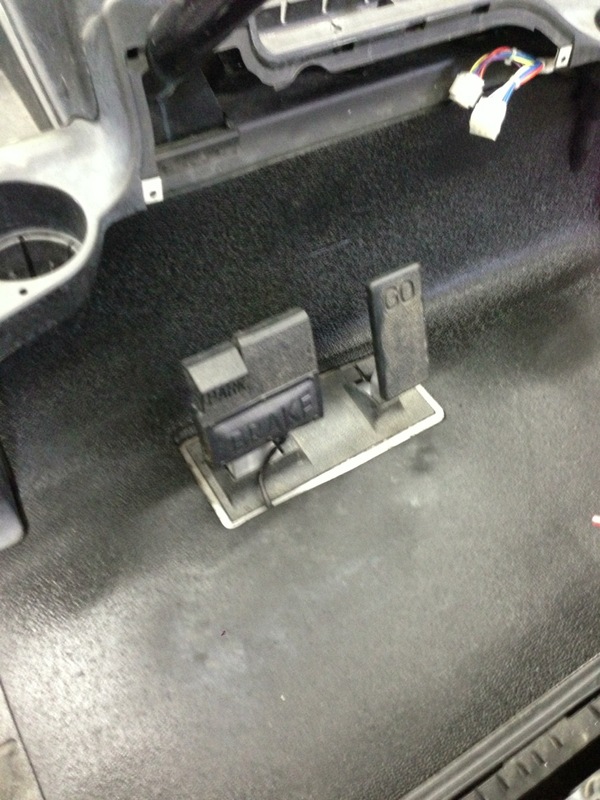 Power points installed in the dash, gives that added convenience for charging your electronics. 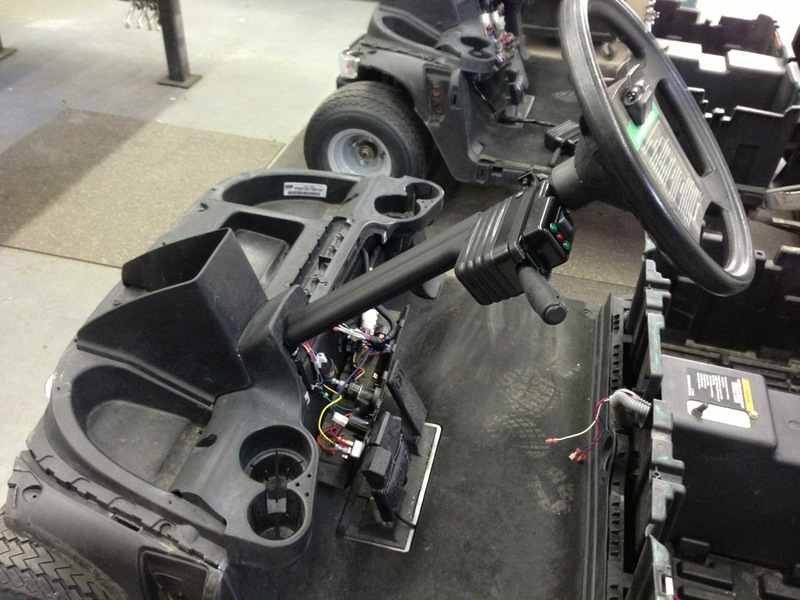 Here we install the multifunction selector on the cart that will be vinyl wrapped. 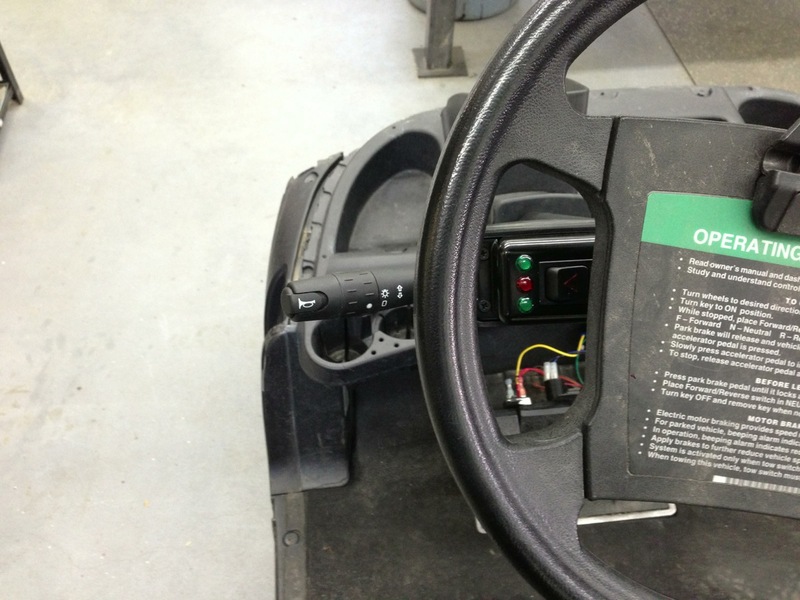 Here you can see the indicator lights nice and clearly. 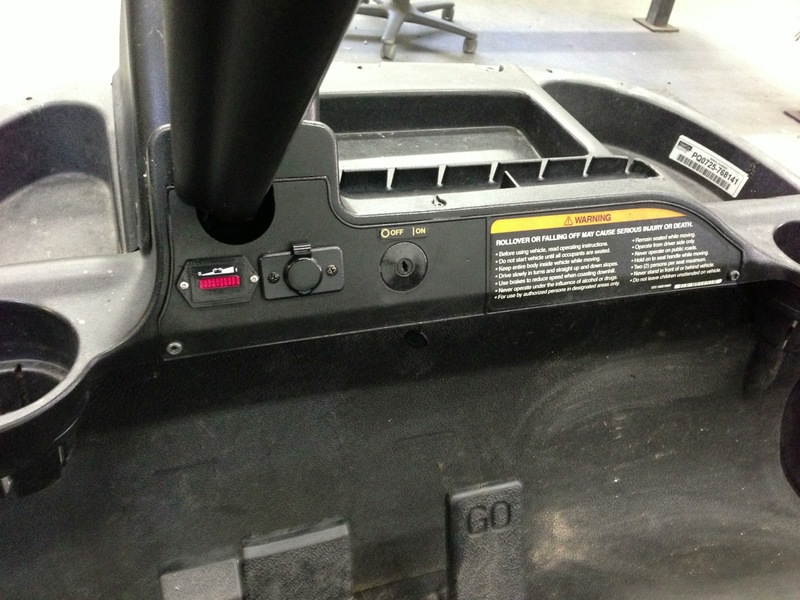 Here we installed the cleaned factory dash with the power point. 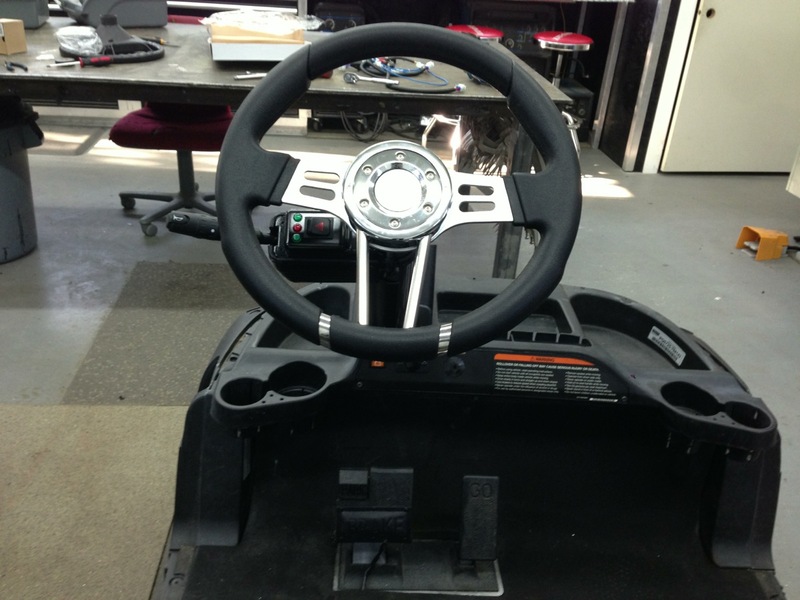 Our customer with the Lakeside resort cart wanted something a bit more flashy, so he went with the custom chrome column and polished steering wheel. Again a nice clear view of the indicators on this setup as well. 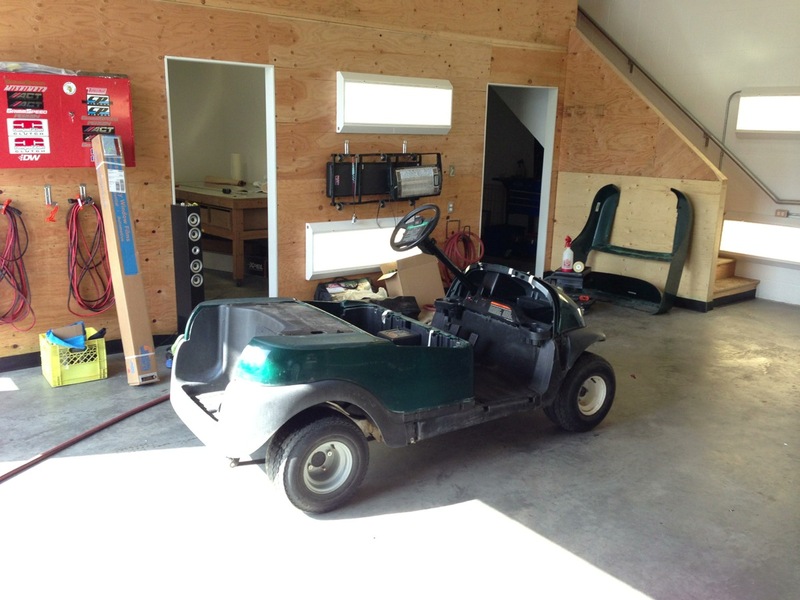 Here is our cart, off at our good friends down at IQ Auto Graphics, ready to get its custom vinyl wrap!!! Come back next week these projects are just getting heated up!!! 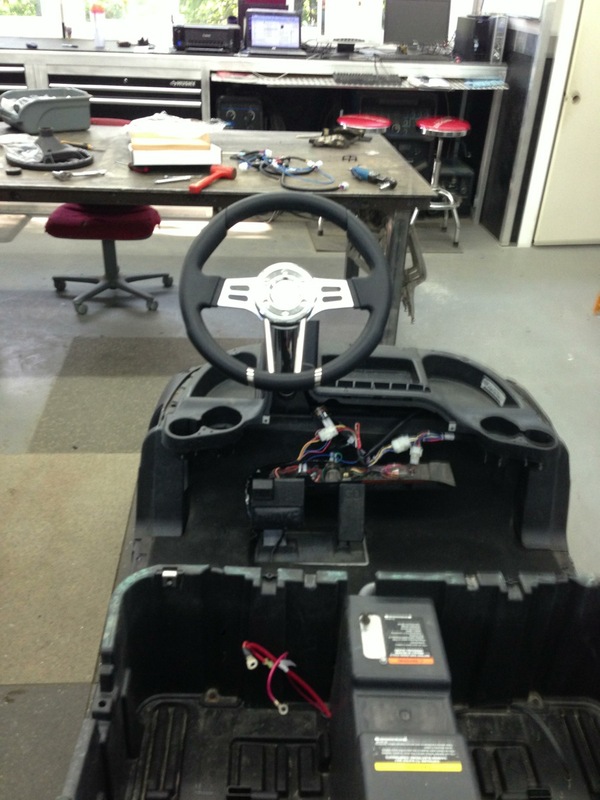 ← Another SC Carts Predator Ridge build!